1.01 Wilfrid Laurier University acknowledges and supports on-campus use of the four sacred medicines (tobacco, sweet grass, sage and cedar) for aboriginal people’s culture and spiritual practices. This policy outlines the University’s requirements with regards to this matter. 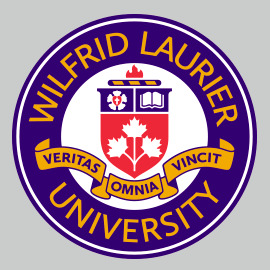 1.02 The use of tobacco, in particular, is given special consideration with respect to the Wilfrid Laurier University Smoking Policy. Provisions for this are, in part, covered under the Smoke-Free Ontario Act (The Smoke-Free Ontario Act is the Tobacco Control Act, 1994, as amended by the Tobacco Control Statute Law Amendment Act, 2005, effective May 31, 2006), as shown in the excerpt found at the end of this policy. 1.03 The purpose of this policy is to ensure that the use of such medicines is done in the safest possible manner. 2.01 This policy applies to all buildings and property owned by Wilfrid Laurier University. 2.02 Permission for the use of aboriginal traditional medicines is subject to any lease or rental restrictions. a) Aboriginal Use of Traditional Medicines policy should be used in conjunction with the 7.12 Open Flames on Campus Policy. b) With the exception of rooms designed for the purpose of burning aboriginal traditional medicines, an audit of the space must be completed by the Fire Safety Officer to ensure alternative provisions to create proper ventilation (open windows etc.) are in place and adequate. c) The use of traditional medicines must be approved by SHERM prior to the burning of the medicines by obtaining the appropriate permit in advance (see Related Policies, Procedures and Documents section below). d) If traditional medicines are to be used as a part of an event such as a class, a workshop or a conference, permission must be requested one week prior to the event by using the Aboriginal Use of Traditional Medicines Event Permit. e) For repeated use of traditional medicines in the same space, the Aboriginal Use of Traditional Medicines Ongoing Permit must used. Ongoing aboriginal use of traditional medicine permits must be approved at the beginning of each semester (September-December, January-April and May-August). f) Any smudge may be burned in an earthen-ware bowl, large shell, or other fire proof object during periods of prayer and meditation. g) There must not be excessive burning (to avoid the tripping of fire alarms and/or sprinklers). h) All appropriate measures shall be taken to ensure other combustibles are not ignited. i) Matches that are used for the ignition of medicines must be wetted down before they are disposed of. j) A fire extinguisher must be made accessible and a person trained in its use must be present at all times. For training, please contact SHERM. k) An inspection must be made by the person designated to oversee the burning of traditional aboriginal medicines to ensure the material has been fully extinguished at the end of the ceremony. l) Room(s) must be well ventilated.